Dr. Abramson has performed over 40,000 LASIK procedures and is recognized as one of the leading refractive surgeons in the metropolitan area. Dr. Abramson has been performing laser vision correction for over sixteen years and was one of the first doctors to use the excimer laser. 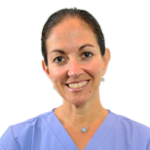 Because of her extensive experience and her outstanding results, Dr. Abramson treats patients on referral from over 250 referring doctors, and is one of the most experienced surgeons in the New York Metropolitan area with the 60kHz Intralase.